Elizabeth is responsible for implementing best practices and delivering quality service to litigation case management teams across the firm. 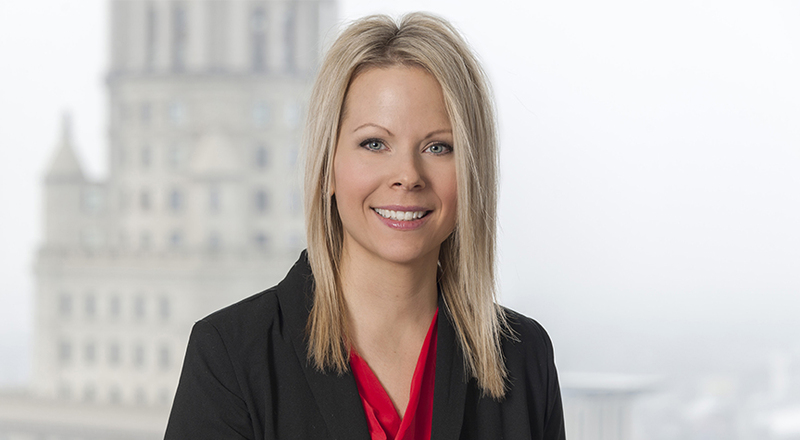 She regularly consults with attorneys and clients on the electronic discovery process, from the preservation and collection of data, through the review and production of electronically stored information. Elizabeth maintains client security and privacy, while controlling costs and minimizing disruption throughout the e-discovery process. A professional in the legal field for more than 17 years, Elizabeth consults on best practices for large scale data collections, processing and production of e-discovery. She helps define and manage projects to provide customized solutions for Taft clients. Elizabeth holds a Bachelor of Science degree in Paralegal Education from David N. Myers College. She is also a Certified E-Discovery Specialist (CEDS) and is a member of the International Legal Technology Association (ILTA). Elizabeth serves as a board member for the University Hospitals of Cleveland Partnership for Families and is resident in the firm’s Cleveland office.